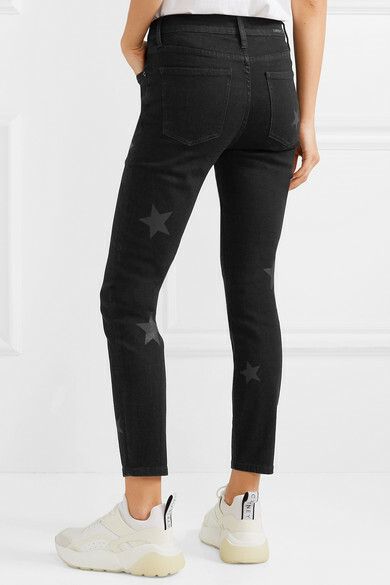 Stella Maxwell was the face of a recent Current/Elliott campaign - we can picture her pulling on these 'The Stiletto' jeans before heading out to casting calls or photo shoots. 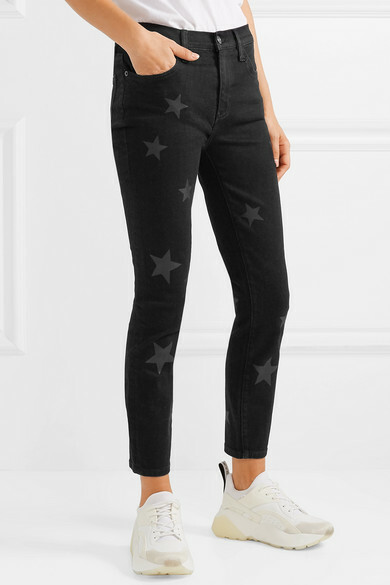 They're cut from black denim woven with plenty of stretch and printed with glossy tonal stars that subtly catch the light as you walk. 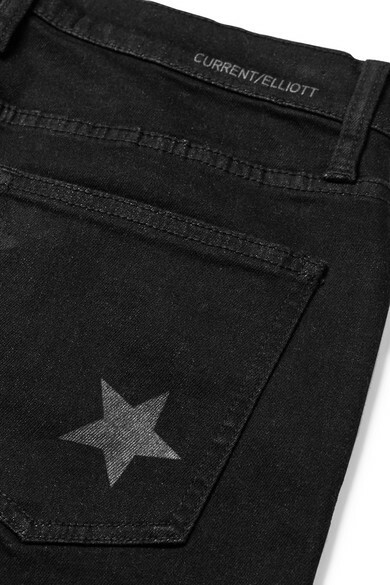 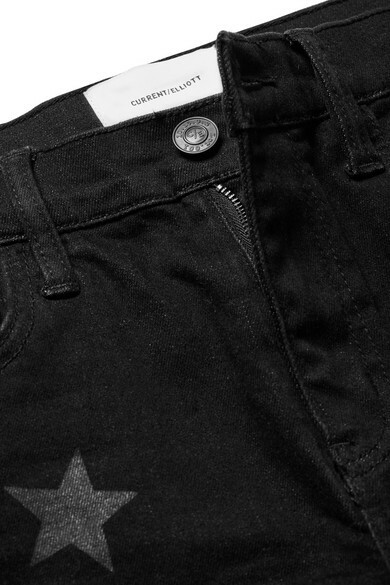 Wear them at the weekend with a tee and sneakers. 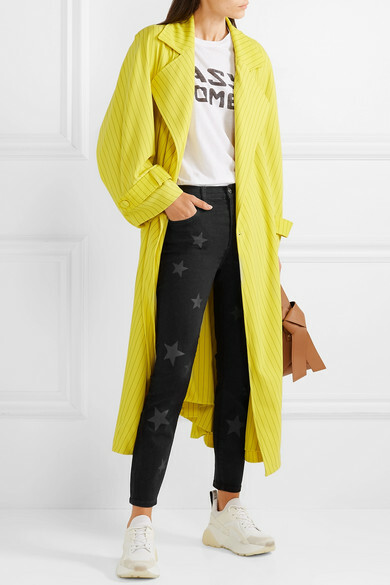 Shown here with: RE/DONE T-shirt, Koché Trench coat, Acne Studios Shoulder bag, Stella McCartney Sneakers.